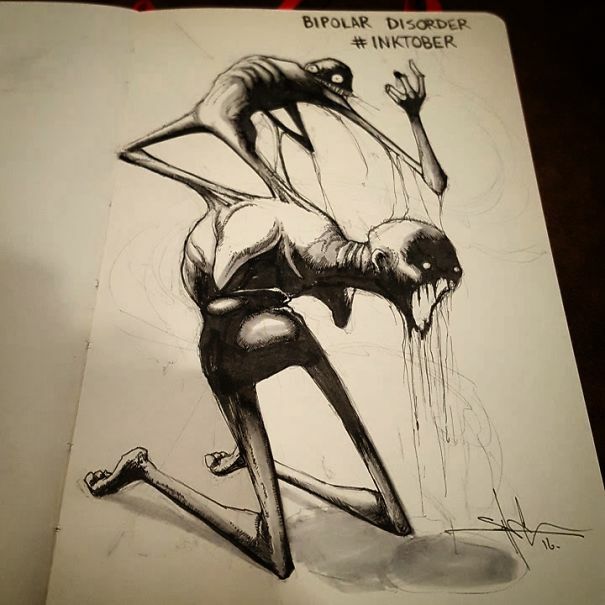 This Artist Depicts Mental Health Disorders As Terrifying Monsters And They Look Gorgeous! 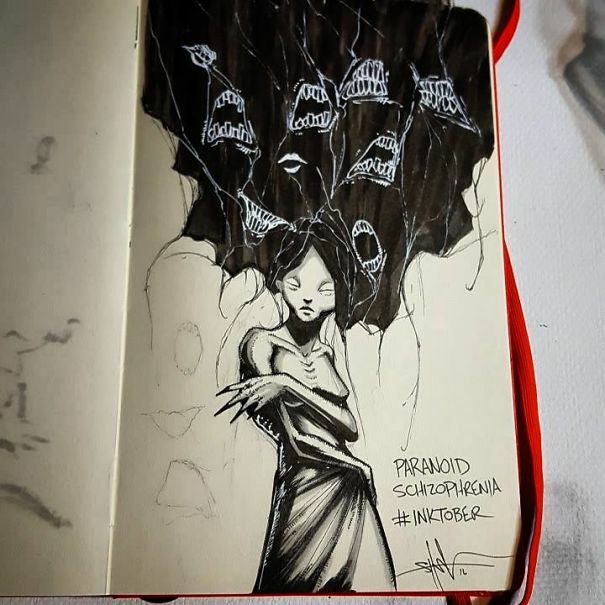 As the month of October not only celebrates Halloween, but also – in a way – celebrates artists across the globe for ‘Inktober’. 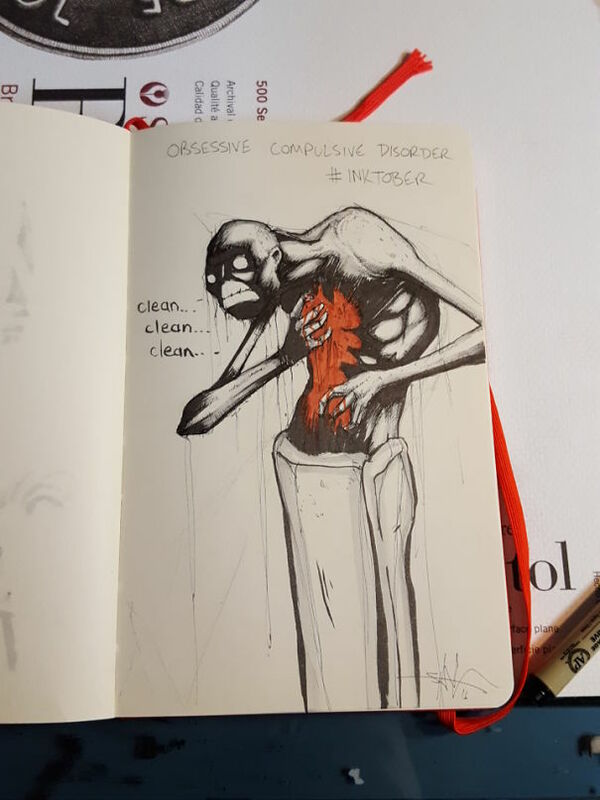 Artists would share their artwork via social media and this artist, really depicts how horrifying mental health disorders are. 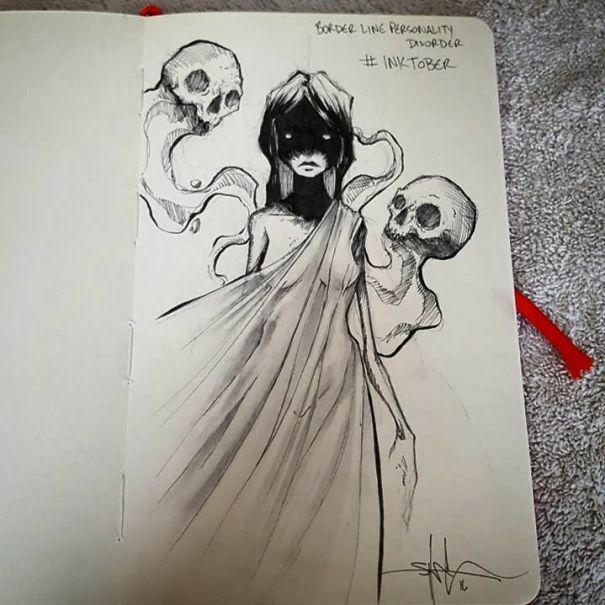 The 35-year-old professional artist from Ohio, participates in ‘Inktober’ and he illustrate various mental health disorders after a fan suggested it. 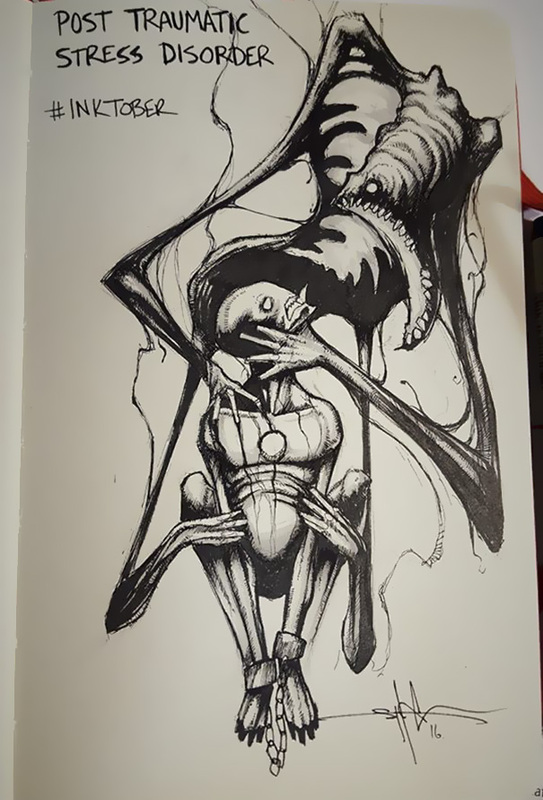 He describes his style as dark, and he didn’t want this ‘Inktober’ to be any different. Coss then typically does the drawings live on Facebook Live so he can connect with his fans. Initially, he felt the need to defend his work. He said he ultimately derived satisfaction from creating art he likes that other people seem to like too. He added that, the hard thing about depicting these conditions is that it’s all subjective. Coss shares the pictures on his FB page (which has been removed) with the message, “If you need help, don’t be afraid to ask”. Clearly, these will wake people up if they have it. Like Coss said, if you’re experiencing any of these mental conditions, please don’t be afraid to seek help as your life is worth more than you can imagine.